Bayport Park is another must visit if you’re looking to add coastal species to your Hernando County list. Drive the hammock road into the park and listen for songbirds. Scan the salt marsh and flats for waders like Wood Stork and Little Blue Heron, shorebirds like Spotted Sandpiper, Ruddy Turnstone and Willet, and other species such as Clapper Rail, Nelson’s Sparrow (winter) and Marsh Wren. American Oystercatcher is an occasional visitor to the oyster bars (check at low tide); Bald Eagle, Whimbrel, and Manatee are occasional visitors. 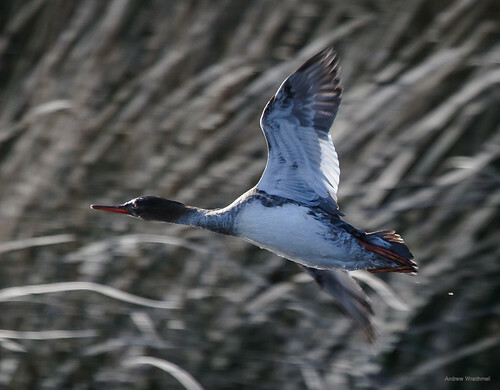 In winter, bring a spotting scope and tripod to check the open water from the large fishing/observation pier; you may spot Horned Grebe, Bufflehead, Red-breasted Merganser and Common Loon. Rarities spotted by local birders include Razorbill (2013), Franklin’s Gull (2015), and Brewer’s Blackbird (a female has wintered at thjis site for several consecutive years).